5 fun things to do in Siem Reap after the temples! Obviously if you are in Siem Reap you will be visiting the temples (I will be writing a post about these soon) but Siem Reap has lots of other things to offer. Here are …. fun things to do in Siem Reap after your temple visit. 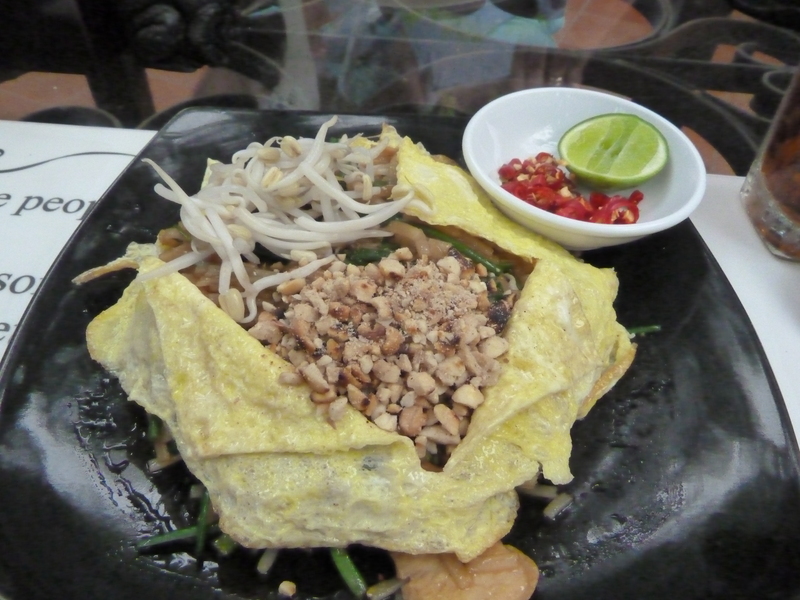 They are not all Siem Reap specific but are good things to do! 1. Eat at the Khmer BBQ Restaurant in pub street. You get your own little BBQ on your table and can choose 7 or 12 different kinds of meat including shark and crocodile. I was not a huge fan of crocodile…it is a bit chewy but shark was great. The raw meat is brought out in a dish and you cook it yourself on the BBQ. Around the outside of the BBQ there is boiling water where you cook noodles and vegetables. Rice, noodles and vegetables are unlimited. 2. Get a foot massage. We had 2 foot massages in Siem Reap. You can’t really go more than few steps without being offered a massage. Our first one was on the main street and although the massage was good it was a bit hectic with lots of people passing. 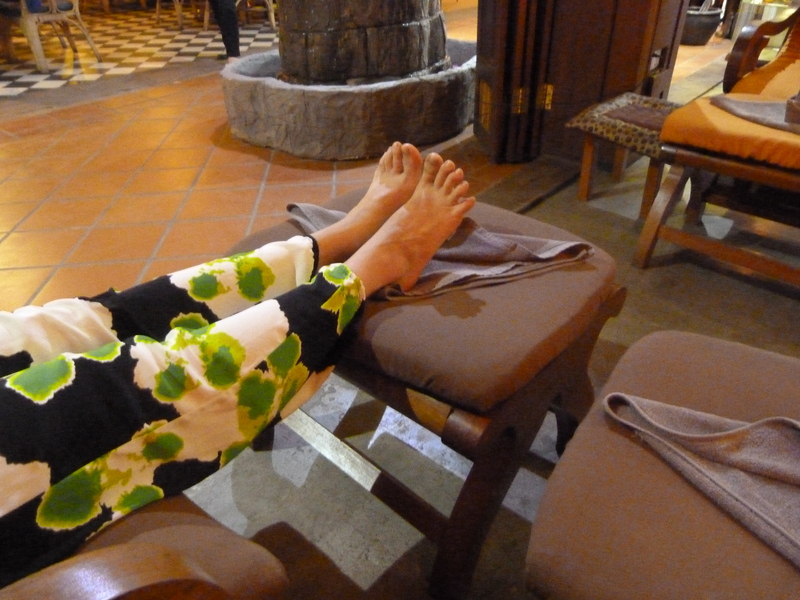 The second massage was at Body and Soul which is down a side street near the Khmer Family restaurant and the Khmer BBQ. This was really good and although at $4 for 30 minutes it was a bit more expensive than other places it was worth it for the more relaxed nature of the salon. The girls were lovely and chatted a lot. They were really excited that we were married and kept asking when we were having babies! 3. Relax! Siem Reap can be really hot and dusty especially in April and walking round the temples is exhausting! There are several hotels in Siem Reap can let visitors use their pools. Many charge for the pleasure and this seemed to range from $3-$25! Some of the big hotels offer use of all their facilities plus a 30 minute treatment e.g a massage. We went for a free option. The River Garden hotel by the river lets people use their pool if they get something to eat. We had a delicious lunch and an afternoon at the pool. It was a nice bit of luxury! 4. Make friends with the locals! We stayed at The Angkor Secret Garden Hotel and the owners and staff were amazing. They were celebrating the Khmer New Year with a big dinner and lots of drinks and invited us to join them. We sampled some proper local cuisine…I ate a whole baby bird! AH! They gave us free drinks all evening and we chatted loads about Cambodian culture and life in Siem Reap. The manager Mr Lucky was actually homeless and slept on the pool table but the owner of Angkor Secret Garden taught him English and gave him the job managing the hotel. He was the best manager we met. When the wifi was not working very well he drove to 3 different travel agents to sort some bus tickets out for us. 5. Chat to other travelers. I know this sounds obvious but this is invaluable. We met a couple of dutch girls who were really fun to hang out with and we bonded over a love of musicals! We also met an American guy called Evan who we then met up with again later in our trip. He showed us around Phnom Penh, took us to the gym, bars and markets that were off the beaten tourist track. Number 4 and 5 on this list were definitely my favourite! Anyone else discover any fun things in Siem Reap aside from the temples? Previous Post Ho Chi Minh City…haggling, helpful hotels and horrifying roads! Next Post The obligatory Angkor Temples post!